Deana joined Sexton, Bailey Attorneys, PA in February of 2016. She attended Kaplan University where her main focus was accounting and information technology. She is passionate about providing our clients with the highest level of service and never fails to create a great client relationship. 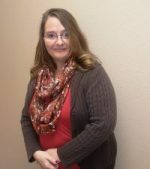 Deana was born in Houston, Texas but later moved to Arkansas where she met her husband Calvin and raised her two kids, Dakota and Destinee. When she isn’t in the office, you can find her behind a camera or talking about her first grandchild that is due in January 2017. Sarah signed on as the marketing director of our firm in February of 2016. After graduating from Hendrix College in 2002 with a Bachelor of Fine Arts degree, Sarah landed in Fayetteville where she dug her heels into the local music scene quickly becoming one of the most sought after singer-songwriters in the region. She released three albums and earned herself a spot in the Northwest AR Music Awards Hall of Fame before coming to the conclusion to cut her scheduled performances back substantially and give herself a much needed break. It was during this time that she discovered the open marketing position at what is now Sexton, Bailey Attorneys, PA. 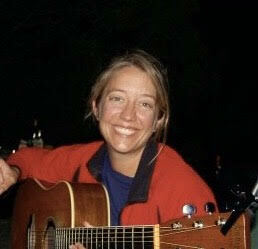 The number of years Sarah spent promoting her music gave her the tools to effectively advertise the firm’s estate planning services, as well as fit in nicely at the law office.